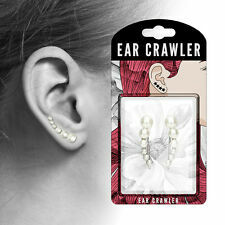 Ear Crawler/Ear Climber. Material: Brass, Imitation Pearl. Sold by: Pair. Style: Latest Belt Big Colour Dimond Beads. Body Jeweiiery: Waist Length: Adjustable. Perfect For: Indian Wedding and Party. Gauge = 22g = (0.6mm). 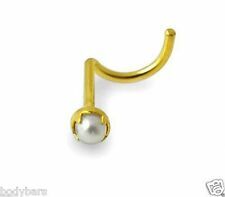 14ct Gold Pearl Stud Nose Screw. Body Part: Nose. Length = 6mm To the Bend. Logo = Natural Pearl. The best and simplest kind of cleaning solution isSaline solution, which is 99% sterile water and 1% pure salt (Sodium Chloride).